On May 28, 2010 7 members of the Levy County Sheriffs Office conducted a DUI Checkpoint on County Road- 345 at Carters Store in Chiefland. 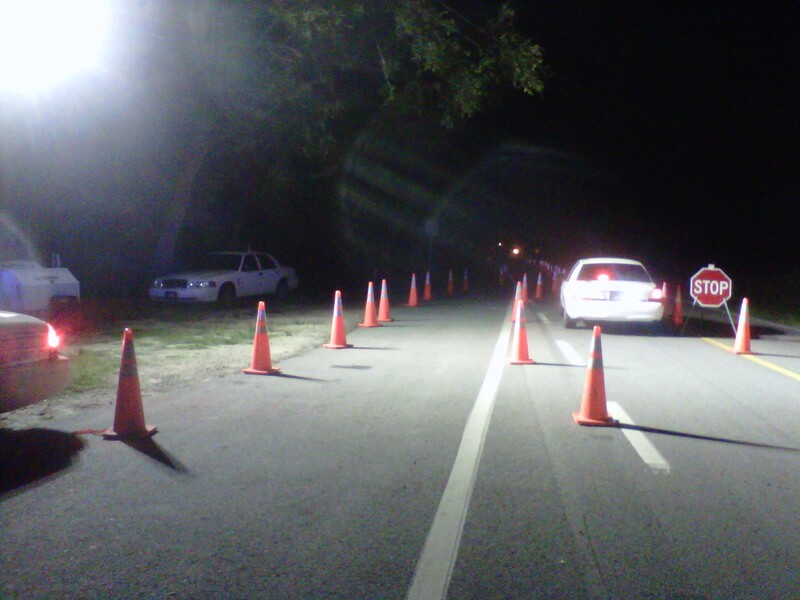 The checkpoint operated from 10pm-2am. During the check point 43 cars were checked and two arrests were made. 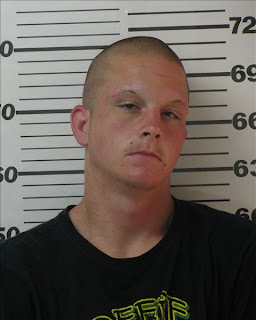 Williston, Florida-On May 30, 2010 Deputy Britton Drew arrested Maurice Frazier for possession of crack cocaine, possession of a controlled substance without a prescription, possession of drug paraphernalia and driving while license suspended. Deputy Drew observed Frazier driving a maroon Pontiac and ran a stop sign in East Williston. Frazier was stopped around 4:00 in the morning at the BP Gas station. During the investigation Deputy Drew confirmed that Frazier had a suspended driver license for child support. Frazier was asked to step out of the vehicle and Deputy Drew noticed that Frazier had baggies in his hand with an unknown white substance. Frazier stated he has been partying all night and the white substance is crack cocaine which weighed 5.7 grams. Frazier was placed under arrest and a search of the vehicle Frazier had over 80 hydrocodone pills. 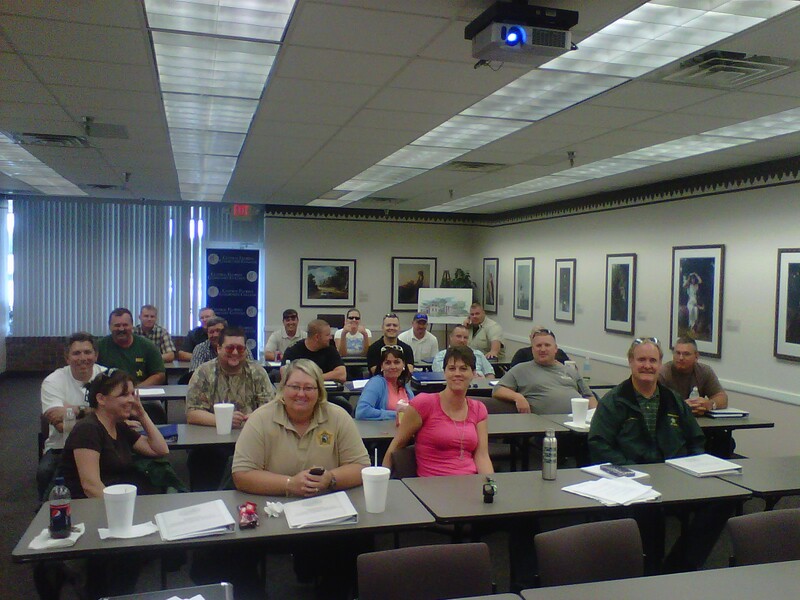 The Levy County Sheriffs Office teamed up with CFCC to host an 80 hour class in Line supervision at the CFCC Campus in Chiefland. The Class Started May 17 and ended May 27 with 21 people completing the course. Attending the class were representatives from the Levy County Sheriffs Office, Gilchrist County Sheriffs Office, Alachua County Sheriffs Office and the Florida Fish and Wildlife commission. During this class students were taught leadership, planning, Legal issues, personnel management along with many more topics . This class was created by the state of Florida to provide the students with the knowledge to be an effective supervisor in the modern law enforcement workplace. Bronson, Florida-On May 28, 2010 Investigator Mike Narayan arrested Antavious Teion Thompkins for possession of marijuana with the intent to distribute. Investigator Mike Narayan and Roger Bell were patrolling in the University Oaks Estates subdivision and observed Thompkins driving erratic in a 2003 Nissan. The two investigators were in unmarked patrol cars and watched Thompkins turn down a side street attempting to avoid the Investigators. Thompkins was acting very suspicious and he pulled into a residence where both Investigators had previously investigated a home invasion robbery. Investigator Bell made contact with Thompkins who acted very nervous and continued to put his hands in his pockets even after being directed not to. Thompkins was asked if he had anything illegal in his possession and stated yes and gave Bell 6 grams of marijuana. Thompkins was subsequently arrested and Narayan located 210 grams of marijuana in a Rice Krispies cereal box and seized $1,251 dollars in US Currency. Thompkins stated that the marijuana was for personal use and he was celebrating his birthday which was yesterday. 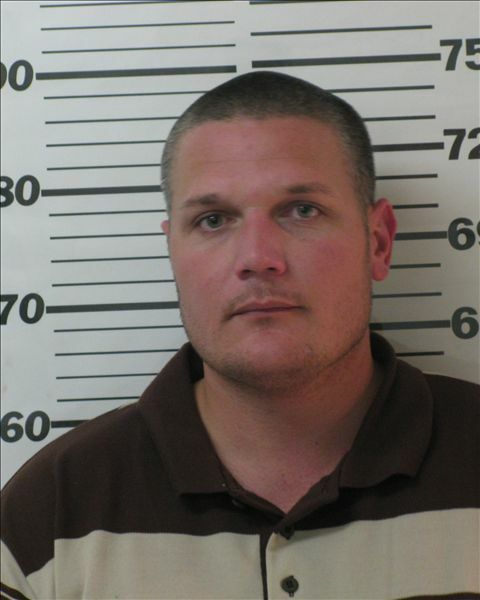 Williston, Florida-On May 28, 2010 Officer James Tegart with Williston Police Department arrested Lee Lewis for fleeing attempting to elude a police officer, reckless driving and driving with a suspended drivers license. Officer Tegart observed Lewis driving a grey Honda and conducted a traffic stop for a minor traffic infraction. Lewis pulled over on State Road 121 in front of Williston Door & Millwork and then drove away in a reckless manner. Officer Tegart activated his emergency lights and siren and Lewis refused to stop. Major Sullivan was traveling north on County Road 335 and observed Lewis driving southbound on County Road 335 at a high rate of speed. The two officers proceeded with there lights and siren and Lewis refused to pull over. At the intersection of County Road 318/335 Lewis ran the stop sign and continued to travel south on County Road 335. Lewis turned in a driveway of a residence attempting to elude officers and drove through a yard. Lewis continued west on narrow dim path and jumped out of the vehicle and ran on foot. Major Sullivan chased Lewis on foot and apprehended him at 3592 NE CR-316 without incident. Lewis did not have a valid driver's license and admitted to smoking marijuana. On May 28, 2010, the Levy County Sheriffs Office will be hosting a DUI, driver’s license vehicle safety checkpoint on CR 345 in the area of CR 347 from 10pm to 2am. This will be a part of a statewide effort to crack down on impaired driving over the Memorial Holiday. Drivers are asked to have their insurance, registration and drivers license ready when entering the checkpoint. The Levy County Sheriff's Office would like to wish everyone a safe Memorial Day Weekend and please do not drink and drive. Archer, Florida-On May 23, 2010 Investigator Roger Bell arrested Robert Edward Hughes for armed robbery and aggravated assault. Deputy Darrell Cothron responded to the Archer Fire Department and met with the Alachua County Sheriff's Office. Alachua County deputies advised Cothron that they received a call that a white male wearing only tennis shoes was at the Fire Department reporting a robbery. The investigation revealed that the victim posted a personal add on Craig's List looking for a male companion. Friday afternoon the victim received a phone call from a male subject and they agreed to meet that night in Archer at the Kangaroo convenience store. Upon the victim meeting the subject they left in the subject's white Ford and proceeded to Levy County. When the two arrived in the area of NE 130 Ave near Marlboro County Estates subdivision the subject pulled off the road and told the victim to get out of his truck. The victim stated he was not sure what was going on and became very nervous but complied with the subject's request. The subject got out of the truck. He was armed with a long gun and pointed it at the victim and told him to take off all his clothes. The subject robbed the victim of his clothes, wallet, cell phone and keys to his vehicle and told the victim to walk away. The victim stated that when he was leaving the area he was in fear that the subject would shoot him in the back. The victim stated he walked to the Archer Fire Department and reported the robbery. Deputy Cothron and Investigator Roger Bell received a lead and the victim was able to pick out the subject from a photo line up. Hughes is currently on felony probation for aggravated battery. Bronson, Florida-On May 22, 2010 Deputy Joseph Sabbag arrested Sean Thomas Wheeler from Pinellas Park for habitual traffic offender, trafficking in oxycodone, concealed weapon by a convicted felon and possession of counterfeit money. Saturday around 2 PM Wheeler was stopped for a minor traffic infraction just outside of Bronson. The investigation revealed that Wheeler is a habitual traffic offender and was driving with a suspended driver license. Wheeler was arrested and he had $900.00 in cash in his right front pocket which was seized as evidence. Wheeler told deputies that he was visiting his girlfriend at the Levy Forestry Correctional Institute and he was enroute back to his residence in Pinellas Park. During the search of the vehicle Deputy King and Sabbag recovered an expandable baton used by law enforcement officers for protection and trafficking amount of oxycodone a schedule II narcotic inside the vehicle. Additional deputies located in a hidden compartment $2,500 dollars in cash that was determined to be counterfeit bills. Wheeler has a lengthy history with law enforcement in Pinellas County and has been arrested in 2008 for counterfeit bills. Secret Service was contacted and an Agent from Jacksonville responded and recovered the counterfeit bills. The investigation in the counterfeiting bills is continuing by Secret Service. AT APPROXIMATELY 1935 HOURS ON 5/7/2010, DEPUTIES RESPONDED TO THE RESIDENCE LOCATED AT 7291 NE 110 AVENUE IN BRONSON, REFERENCE TO A VIOLENT DISTURBANCE. UPON ARRIVAL, THEY OBSERVED A SKINNY, YOUNGER WHITE MALE JUVENILE OUTSIDE THE FRONT FENCE. THE JUVENILE HAD DIRT ON THE LEFT SIDE OF HIS FACE, AND WHAT APPEARED TO BE A BLEEDING LOWER LIP. JUVENILE ADVISED THAT JAMES POWELL (DEFENDANT) WAS INTOXICATED AND TALKING ON THE HIS CELLULAR TELEPHONE, TELLING THE CALLER THAT HE HAD JUST BEAT THE JUVENILE REFERRING TO A PAST FIGHT. THE JUVENILE TOLD POWELL "I WAS PROTECTING MY FAMILY" AND WAS THEN TOLD TO SHUT UP BY THE DEFENDANT. POWELL THEN GOT OUT OF HIS CHAIR, PINNED HIM AGAINST THE REFRIGERATOR AND PUNCHED HIM MULTIPLE TIMES IN THE RIBS AND HEAD. THE JUVENILE STATED THAT HE TRIED TO DEFEND HIMSELF, BY PUSHING POWELL OFF OF HIM AND STATED POWELL CAME AT HIM ANGRIER. POWELL THEN THREW HIM TO THE GROUND AND PUNCHED HIM MORE. THE JUVENILE THEN RAN OUTSIDE AND DEFENDED HIMSELF AGAINST POWELL WITH A PIECE OF REBAR. IT WAS THEN THAT POWELL STOPPED CHASING THE JUVENILE AND WENT BACK INSIDE. POWELL WAS ARRESTED AND HAD TO MEDICALLY CLEARED AT NATURE COAST HOSPITAL PRIOR TO BOOKING INTO LEVY COUNTY JAIL FOR AN APPARENT SEIZURE. National Police Week was established in 1962 by President John F. Kennedy. National Police Week pays special tribute to those law enforcement officers who have lost their lives in the line of duty for the safety and protection of others. Ceremonies are held in Washington, DC, and in communities across the country. In May the nation reflects and pauses to recognize the service and sacrifice of United States law enforcement officers who made the ultimate sacrifice and those who continue to serve. Today, in United States, some 900,000 law enforcement officers put their lives on the line for the safety and protection of others. They serve with valor and distinction and with great success. That protection comes at a price. Each year, there are approximately 16,000 assaults on law enforcement officers, resulting in nearly 60,000 injuries. Sadly, over the last decade, an average of 160 officers a year has been killed in the line of duty. Throughout U.S. history, nearly 19,000 law enforcement officers have made the ultimate sacrifice. In 2009 Florida eight law enforcement officers were killed in the line of duty. In 1945 Levy County Deputy Sheriff A. Hagood Ellzey was shot and killed after being lured in the woods by a man that wanted to show him something. When he entered the bushes the man's accomplice shot and killed him. In 1988 Corporal David Wayne Moss with the Williston Police Department answered a disabled vehicle call and he surprised a suspect who shot and killed him. Moss was able to return fire and kill the suspect. The Levy County Sheriff's Office is dedicated to honoring all of America's law enforcement heroes. Sheriff Smith prays every day for the safety for his deputies, employees and families. Chiefland, Florida-On May 6, 2010 Deputy Clint Anderson arrested Randy David Applegate for possession of marijuana more than 20 grams. Around 7:30 PM Applegate was traveling in a grey KIA and was clocked on radar at 73 mph in a 65 mph speed zone. Upon Applegate being stopped for the traffic infraction he advised that he was returning from Texas in a rental vehicle enroute to Madeira Beach. 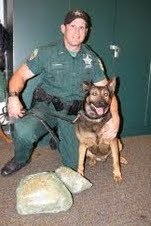 Deputy Anderson's K-9 partner "Robiek" alerted on the driver, passenger door and trunk for the odor of narcotics. Upon searching the vehicle Applegate had approximately eight (8) pounds of marijuana inside a black suitcase in the trunk. Applegate attempted to mask the marijuana scent by putting lotion and air fresheners around the narcotics. The marijuana has a street value of $ 10,000. Fanning Springs, Florida-On May 5, 2010 Detective Mike Bell arrested Seth Leon Foster and Amy Lynn Combs for robbery, burglary and host of felony charges. The victim reported that Foster and Combs went to his residence located at 7571 NW 168th Lane. Upon arriving at the residence Foster demanded money and threatened to kill two adult victims. The victim's seven year old daughter heard the altercation and came to the front door and stated that she had some money. The child had $11.00 dollars in her hand and Foster entered the residence and forcibly snatched the money from the child. Foster also threatened to kill the victim's girlfriend and demanded that she give him money and pills. During the struggle, Foster lost his Florida Department of Correction ID card and fled the area in 1997 Dodge truck. Foster is a convicted felon and has been to prison for aggravated assault with a weapon. Combs were present and drove the get away vehicle. Combs knew that Foster was going to rob the victims and participated in the crimes. The suspects were located in the suspect vehicle and a felony traffic stop was conducted at Suwannee Motel. Foster resisted arrest with violence and kicked Detective Bell in his right leg. The two were taken into custody and transported to the Levy County Jail. Charges: Burglary, robbery, resisting arrest with violence, battery law enforcement and assault. Charges: Burglary, robbery and resist arrest without violence. Williston, Florida-On May 4, 2010 the Levy County Sheriff's Office and the Drug Task Force arrested Marvin E. Cooper, Leslie Reese Thompson and Ronald Glenn Perry at 17091 NE 40 street in Williston. On April 18, 2010 the victims reported to the Levy County Sheriff's Office the theft of a Glock 40 caliber pistol and a North American Arms 22 magnum revolver. On May 4, 2010 Detective Tom Martin obtained a search warrant at the above address. The Criminal Investigations Division and the Drug Task Force executed the search warrant and recovered the two stolen firearms. During the raid the Drug Task Force Agents recovered 1.7 grams of methamphetamine, crack cocaine, marijuana, pills that were identified as Klonopin a schedule IV narcotic and roxicodone a schedule II narcotic, drug paraphernalia which consisted of rolling papers, spoons and glass pipes used to smoke crack cocaine and methamphetamine. Charges: Possession of methamphetamine, possession of crack cocaine, possession of a controlled substance, possession of marijuana less than 20 grams, possession of drug paraphernalia and maintaining a drug dwelling.